Bird enthusiasts often turn their yards into havens for their feathered friends, hanging bird feeders and bird baths for the birds for the birds to enjoy. Over time, the paint on bird baths begins to chip and peel, because the bird bath is constantly exposed to water and weather. 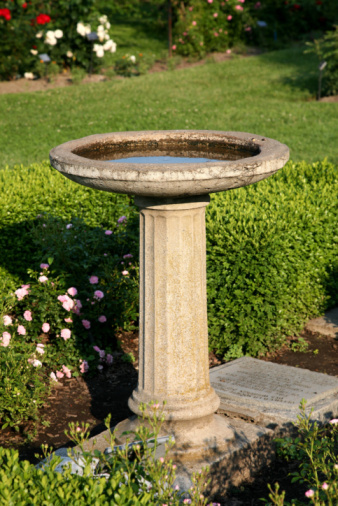 Chipping paint is unsightly, but you don't have to buy a new bird bath. Instead, simply repaint your bird bath with a fresh coat of paint to restore its beauty. 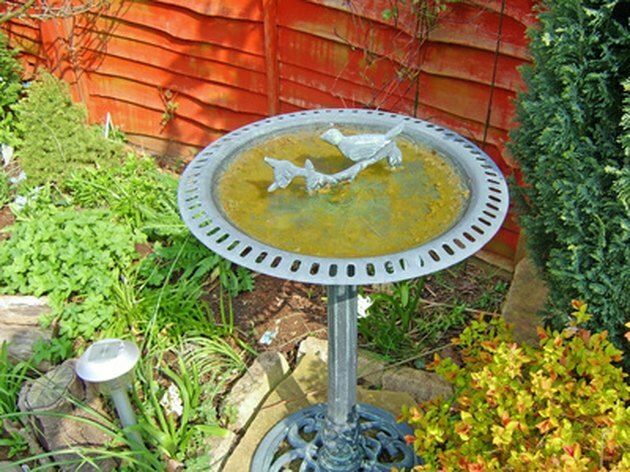 Paint old bird baths to restore their appearance. Tip the bird bath slightly, and pour out any water that is in the top of it. Move the birdbath to a garage or other covered location, and allow it to dry for two to three days. Scrub the entire interior and exterior surface of the bird bath with a wire brush to remove any chipping paint, as well as to remove dirt and debris. Do not press down hard on the brush; simply move it lightly across the surface. Lay a plastic drop cloth on the floor, and set the bird bath on top of it. Open a can of spray paint that does not contain oil or petroleum products. Shake the can vigorously for 30 seconds to mix the color. Hold the can 6 to 12 inches away from the bird bath, and press down on the nozzle to begin painting. Move your hand in a continuous side-to-side motion. 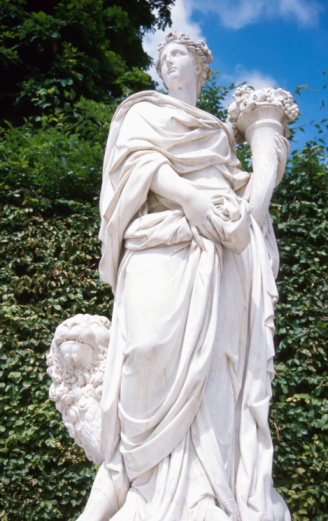 Start with painting the top of the bird bath and then work your way down the pedestal to the base. Allow the paint to dry for at least 1 hour, and then apply a second coat of paint. Allow the bird bath to sit for an additional hour to dry after the second paint coat. Apply two coats of a spray sealer to the bird bath to seal in the paint color. If the bird bath is made of concrete, use a clear concrete sealer. For all other materials, apply a clear water-based polyurethane. Allow the entire birdbath to dry for 24 to 48 hours before placing it back outside.